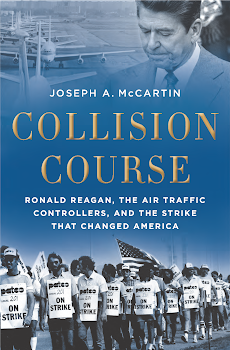 The attorney F. Lee Bailey, who played a crucial role in forming and building the Professional Air Traffic Controllers Organization (PATCO) during the years 1968-1970, was back in the news this week. Bailey, who has relocated to Maine, sought admission to the bar there (he had been disbarred in Massachusetts and Florida in the early 2000s). Bailey passed the Maine bar exam last year (I last spoke with him when he was studying for that exam), but this week it became public that the State of Maine Board of Bar Examiners ruled on his application and voted 5-4 to reject it. The majority ruled that "Mr. Bailey has not met his burden of demonstrating by clear and convincing evidence that he possesses the requisite good character and fitness necessary for admission to the Maine Bar." For more on this story, check this in the Lewiston Auburn Sun-Journal.